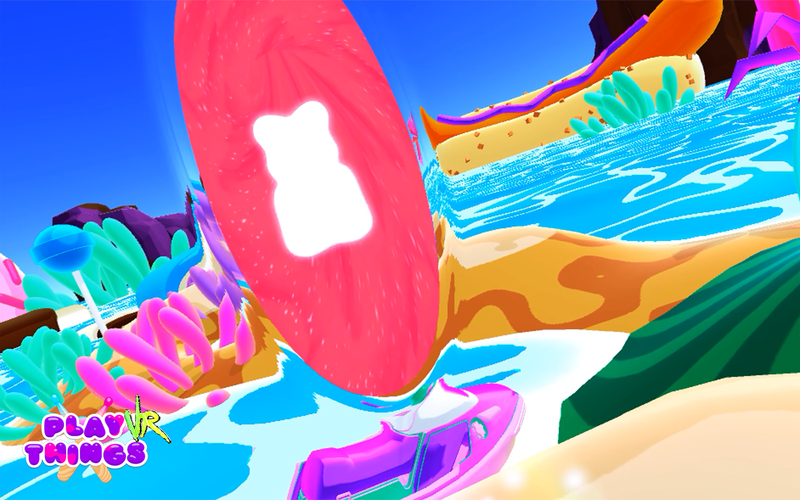 Playthings was made to welcome anyone to the world of virtual reality. 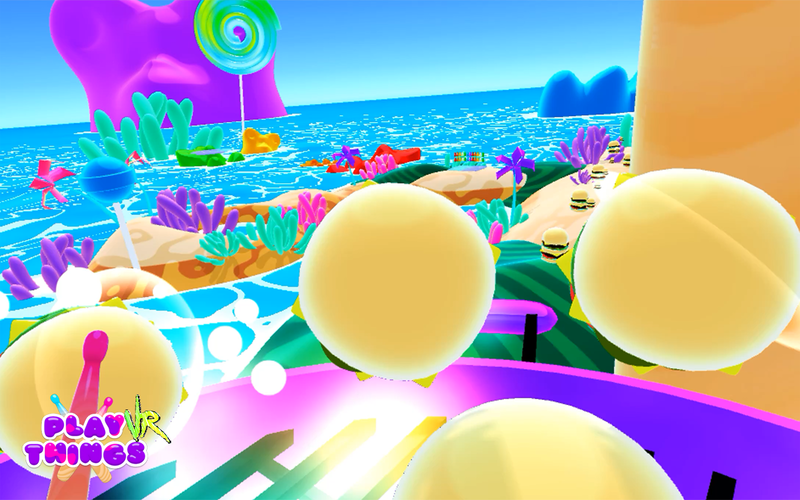 Built for the HTC Vive, Playthings puts virtual drumsticks in your hands and sets you loose on a musical playground from another world. There's no complicated buttons or tutorials--everyone knows how to use drumsticks. But drums are for real life. In Playthings, the instruments are made out of food: like hot dog xylophones and jelly bean harps. 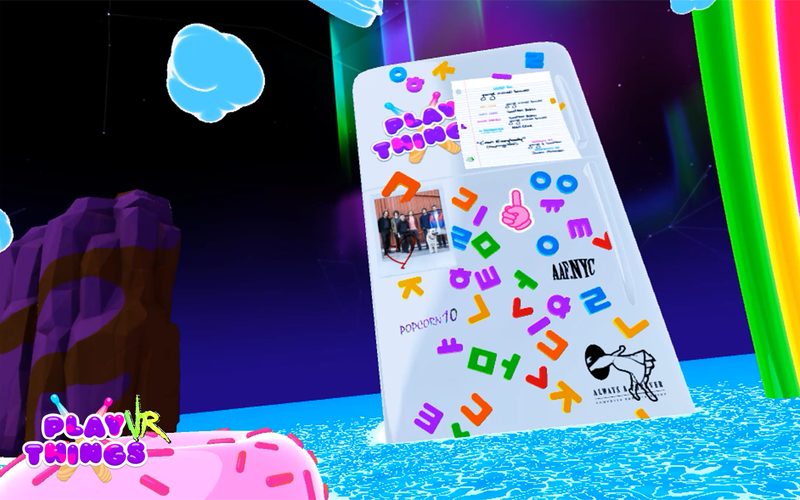 With the HTC Vive's room scale motion tracking, you don't need a joystick to explore the world of Playthings--you move around with your own two feet. Playthings transforms even the tiniest room into a tropical dreamscape that stretches forever in every direction. 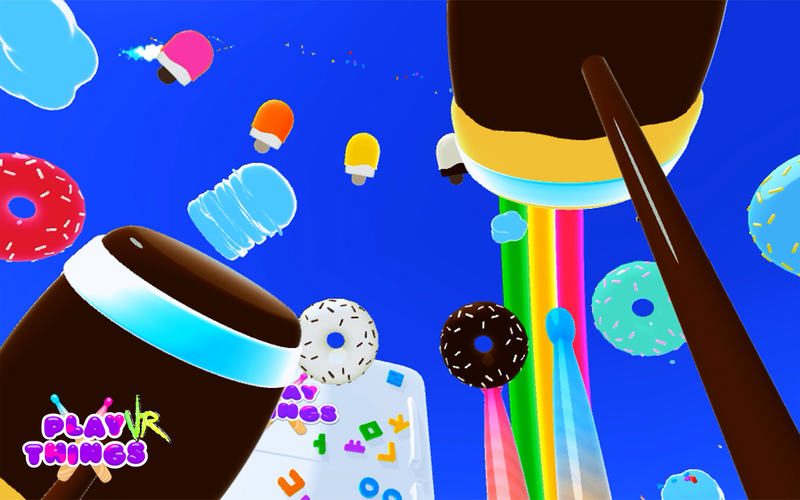 You can make all sorts of music with your snacks. Or, you can rearrange them with the Golden Tongs to make your own singing food sculptures. You can swing the Giant Hammers to relieve stress (or just make a big mess). There's lots more tools and worlds to discover--all you have to do is take a look around. Most people who aren’t excited about games can’t see past all the brown-on-brown sequels to Shoot Everyone VII. The video games that inspired Playthings are the sort that are really only called “games” out of convenience. We made Playthings to to remind people that you can play without a game: You can play on monkey bars, you can play saxophone, you can play with action figures, but you can’t lose and there aren’t rules (just gravity, tax returns, etc). 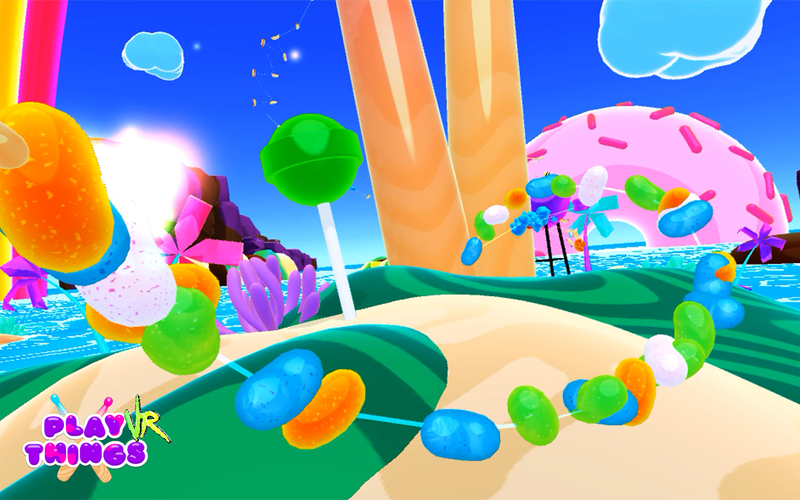 VR is so exciting because there actually even less rules, and you don’t need a goal to have fun in another universe. 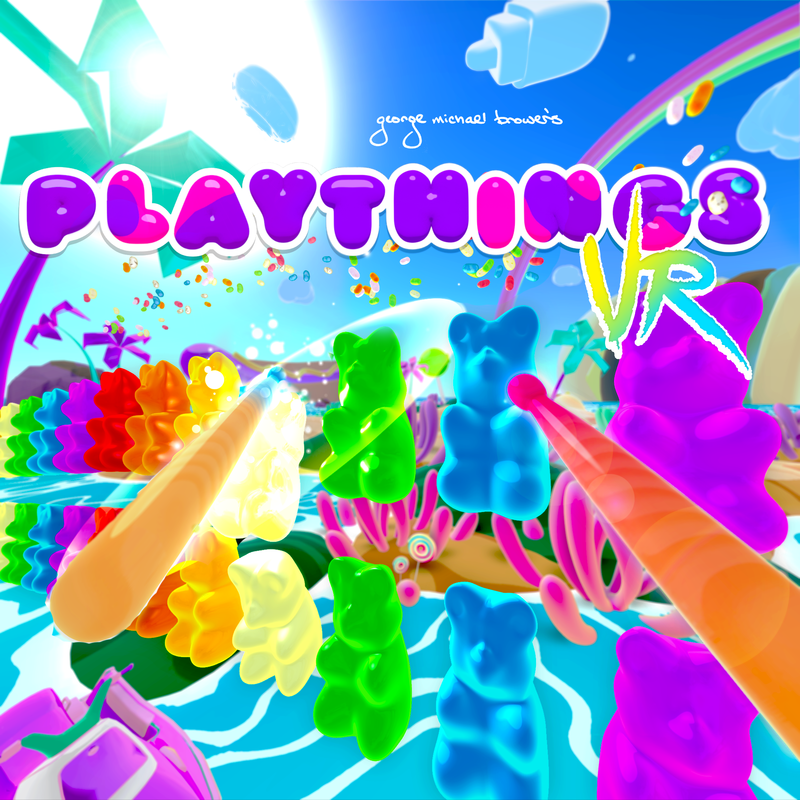 Playthings was guided by the idea that, if we can make anything, it doesn’t make sense to let you play anything that makes sense. And if we can build our own worlds, they can welcome everyone. 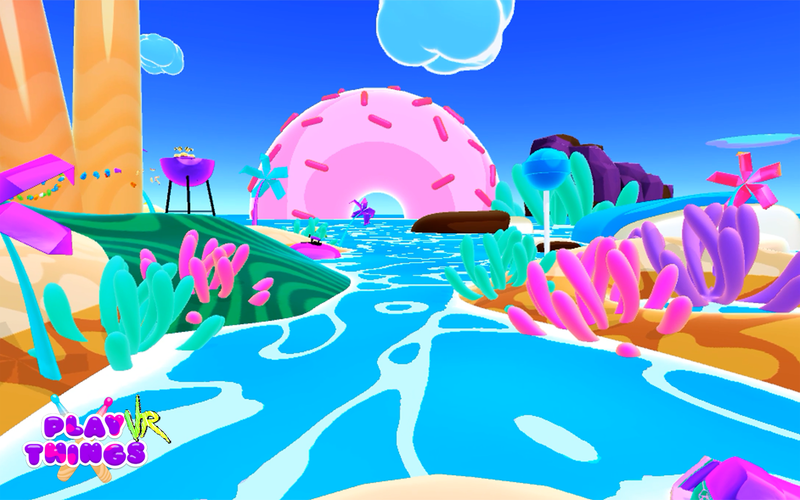 5 explorable worlds full of interactive musical food that anyone can play. 3 different pairs of drumsticks with unique powers. Guest performance by Jesper Mortensen (aka "Junior" of Junior Senior) on the Playthings theme song, "C'mon Everybody! (Playthings Rap)"
Always & Forever Computer Entertainment is a studio for interactive media based in Brooklyn, NY. 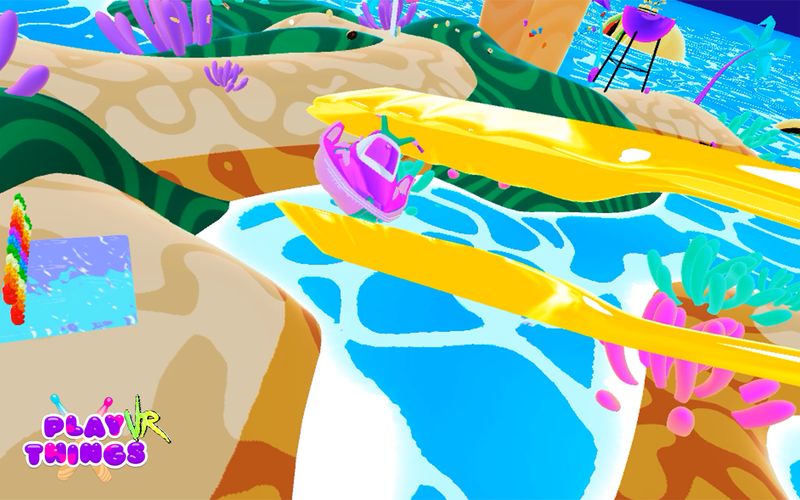 Sitting somewhere between art practice and toy factory, Always & Forever makes highly stylized, musical experiences that are hard to call "games." 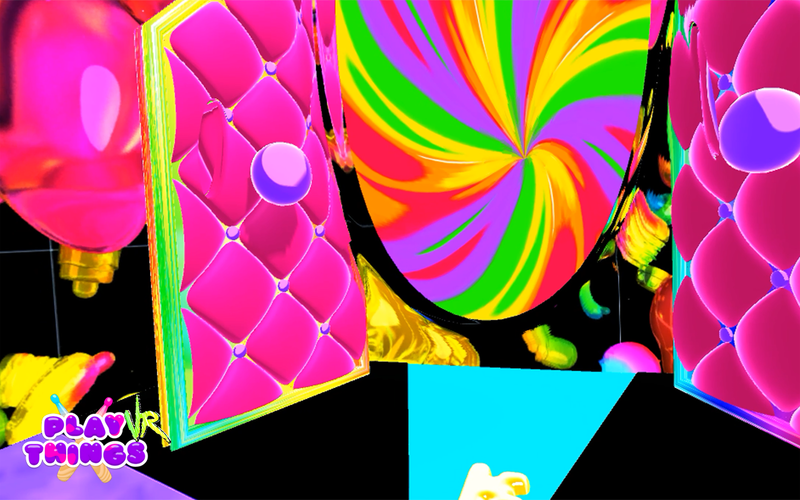 George Michael Brower is the founder of Always & Forever, where he practices a broad range of disciplines from motion graphics and music composition, to illustration and programming. More information on Always & Forever Computer Entertainment, our logo & relevant media are available here.